On November 25, 2012, an orange cat named Waffles left the Animal Humane Society in Buffalo, Minnesota. Deep down he knew his life would change. But he also knew that big things were in store for him. After a long ride in a strange car, he appeared at the home of Katie, a well known blogging cat. Several years earlier, Katie had been adopted as well and was living a quiet and comfortable life, free of any *other* cats. 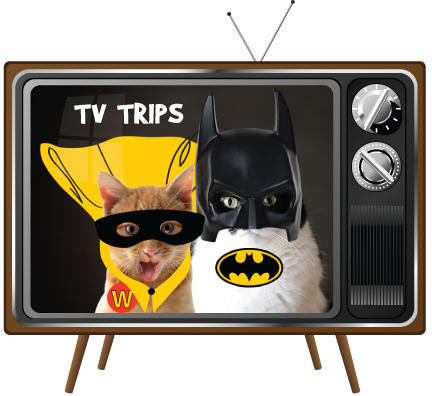 Can two rescued cats share a townhouse and blog without driving each other crazy? Original Intro to The Odd Couple. Click below to listen or click HERE to see on YouTube. You two do make a fine odd couple! An odd couple but you guys make it work! My human is envious of Patty! We love the ball cap!!! Katie & Waffles make a great odd couple !!!! Loved that show. Genius! And yup now I have the theme song playing in my head! 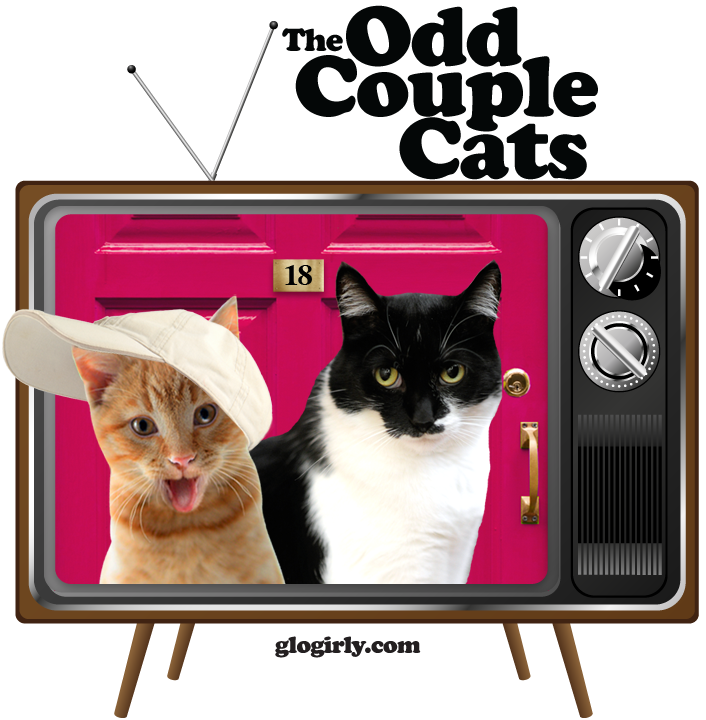 Mommy said she loved that show and yes, you two are the odd cat couple indeed! Great comparison. Our favorite kind of couples are odd couples! The Comparison fits beauty-fully. But they will survive, together. We are happy that you two are an odd couple..it makes for lots of laughs for all of us!! Really great concept! We love your takes on old TV shows..
You are the best Odd Couple that I know. A very cute odd couple.